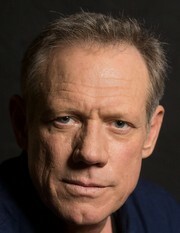 Fredric Lehne – Ubiquitous character actor and award-winning short filmmaker. Born in Buffalo, N.Y. but raised in the Garden State, Fredric first appeared in small theater productions at the age of six, and in his teens spent weekends studying at The Neighborhood Playhouse and HB Studios in NYC. During summers, he apprenticed at The Peterborough Players in N.H. - New England's oldest summer stock company. At the age of 20, he debuted on Broadway in Ibsen's John Gabriel Borkman while one of his first films, Ordinary People, ran in theaters. In the decades since, Mr. Lehne has amassed a considerable resume, with over 200 appearances in films such as Being There, The Greatest Showman, The Dark Knight Rises, Zero Dark Thirty - and episodic television. He’s been hired by some of the industry's best directors - Hal Ashby, Robert Redford, Kathryn Bigelow, Christopher Nolan, Adrian Lyne, Barry Sonnenfeld - and become a familiar face to television audiences for his work on such shows as Lost, American Horror Story, Supernatural, X-Files, Dallas, Chicago Fire and Westworld to name just a few. Mr. Lehne’s first two short films, Shy Guys and Margaret and Gary, have played hundreds of festivals worldwide and won dozens of awards. 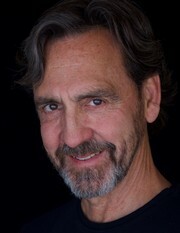 Kent Kirkpatrick has worked in theater and film as director, producer, writer and actor. Performing and directing for such theater companies as Shakespeare in the Garden in Santa Fe, Theater Grottesco, Tricklock Company, and Santa Fe Playhouse. He has also acted in television and film in Last Stand, Better Call Saul, Midnight Texas, and others. He has taught screenwriting, film production, acting and directing at Santa Fe University of Art and Design, the University of California--Irvine and the University of California--San Diego, British American Dramatic Academy at Oxford University, the University of Wisconsin--Milwaukee, the University of Delaware, the American Academy of Dramatic Art. 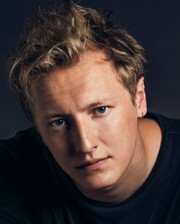 He has also served as guest artist in the schools with the Santa Fe Opera and Rancho Valmora. He is currently directing Theater Grottesco’s PIE, which recently played in Colorado Springs Fine Arts Center, and will be seen at Irondale Theater in Brooklyn in 2019. Kent has also produced and directed numerous short films—some which have even won awards. Julian Bonfiglio is an actor, known for his role on the Golden Globe, Primetime Emmy Award, and Screen Actors Guild Award nominated series "Better Call Saul" (TV series 2015 - ) as well as "The Girlfriend Experience" (TV Series 2017-) and “Too Old to Die Young” (TV Series set to be released in 2019). He's also worked on feature films, such as, “Sicario: Day of the Soldado”, "Making a Killing" and "Furthest Witness". He was raised in Boquete, Panamá and lived there for 17 years, with his mother, Lauretta Bonfiglio, and father, James W. Nichols. In his early years, Julian studied theater and art, acting in many Pulitzer prize winning plays, and even directing a few small productions. At the age of 18, he was scouted by the Wilhelmina Modeling Agency (Panama City), and shortly after moved to Milan, Italy where he would continue his modeling work. He shot spreads for Vogue Italia, Luisa Via Roma, and even walked for John Varvatos during Milan Fashion Week 2012 . He now pursues his film career in New Mexico, working his way through the film industry. He is fluent in both Spanish, and English. 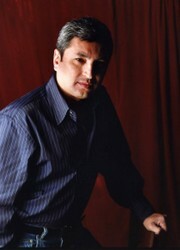 Octavio Solis is a playwright and director whose works, Mother Road, Quixote Nuevo, Hole in the Sky, Alicia’s Miracle, Se Llama Cristina, John Steinbeck’s The Pastures of Heaven, Ghosts of the River, Quixote, Lydia, June in a Box, Lethe, Marfa Lights, Gibraltar, The Ballad of Pancho and Lucy, The 7 Visions of Encarnación, Bethlehem, Dreamlandia, El Otro, Man of the Flesh, Prospect, El Paso Blue, Santos & Santos, and La Posada Mágica have been mounted at the California Shakespeare Theatre, Mark Taper Forum, Yale Repertory Theatre, the Oregon Shakespeare Festival, the Denver Center for the Performing Arts, the Dallas Theater Center, the Magic Theatre, Intersection for the Arts, South Coast Repertory Theatre, the San Diego Repertory Theatre, the San Jose Repertory Theatre, Shadowlight Productions, the Venture Theatre in Philadelphia, Latino Chicago Theatre Company, Boston Court and Kitchen Dog Theatre, the New York Summer Play Festival, Teatro Vista in Chicago, El Teatro Campesino, the Undermain Theatre in Dallas, Thick Description, Campo Santo, the Imua Theatre Company in New York, and Cornerstone Theatre.